I don’t know about you, but I’m still recovering from the weekend. We had a ton of fun over the Canada Day long weekend, and the kids had a blast with all their cousins. We started out on Friday with a visit to my brother and sister-in-law’s house, and the kids had fun playing with Mr. Toot-Toot (my two-year old nephew, who loves Thomas the Train). On Saturday, I was on the receiving end of a random act of kindness. While waiting in line to purchase a family pass of four for Fantasy Fair at Woodbine Centre, a lady approached me to ask if I wanted to have a Groupon for a family pass. It was all paid for and they couldn’t use it. I asked her if she wanted money and she said no, for us to enjoy ourselves. After they left, my heart sunk a little as I read the paper, only to discover that it said it expired on June 21st. Boo! I’m glad she didn’t take the money for this piece of paper. Then as I it was our turn to purchase tickets, the girl behind the counter asked me if I had a Groupon pass. I told her that I did, but it has expired. She then told me that they were still accepting them! So we saved $50 and the kids had a blast going on everything; balloon rides, planes, trains and automobiles…and of course, the horses! I promise to make sure I pay it forward. You can never use enough good karma! 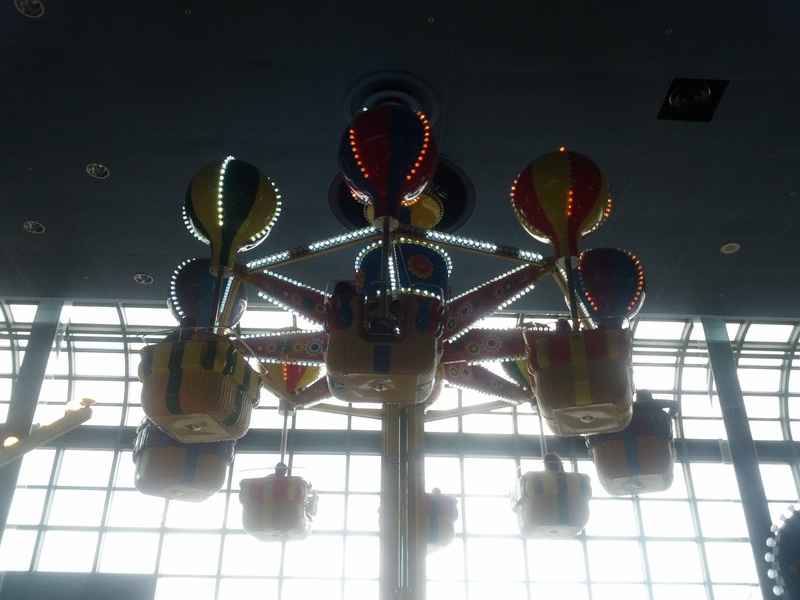 One of the many rides my kids loved! We had lunch and then went back for more fun. After a while, and some ice cream, it was time to go. Pooped, the Little Mouse passed out in the car. But the good times wasn’t even close to being over. My husband got The Paxter, his youngest nephew, and he played with the girls for a bit at our house, before we all went back to his house for dinner and even more playing. The evening ended with us all eight of us watching Despicable Me. I got a bit of me time to hang out with a friend that I haven’t seen in a long time, and all the kids drove my mom crazy played and entertained each other. I was back shortly after and then we went back home to get their daddy, who was busy working on a bathroom renovation. The evening was spent having their favourite Happy Meal and a trip to the store, where we stocked up on some movies for those rainy days. Finally, our holiday Monday was spent at my in-laws house for bbq, backyard laughs and too much food! We ended the night with a bath and a movie and smiles all around. The summer is officially here! Let the good times roll! 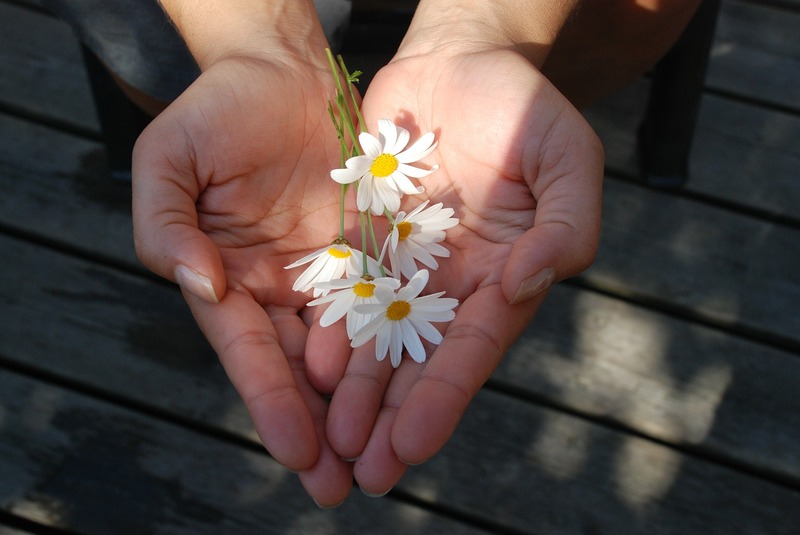 Have you ever been on the receiving end of a random act of kindness? Do you pay it forward? I love doing random acts of kindness for people, and love to hear about others who’ve benefited. My hubby always gets extra tickets for a major event in our town and we have such fun giving them away to families waiting in line. Not only do they then get to skip the line, but they get in free! Most are stunned at first and don’t understand what we’re doing, then when they get it their smiles are amazing. That’s great! I love that. I always manage to over pay for parking, whether it’s on the street or in a lot, so I try to give away that ticket to somebody coming in. You’re right, people are usually stunned, like they don’t believe it to be true, but if I paid for it already anyway, so why not let somebody else use it?! It was so nice to be on the receiving end. Totally unexpected! I’m definitely going to have to pay that forward soon!